Oregon's McKenzie River offers the perfect family rafting experience. Continuous fun filled class 2-3 whitewater rapids, spectacular views and crystal clear water makes this one of Oregon's favorite rafting river trips. 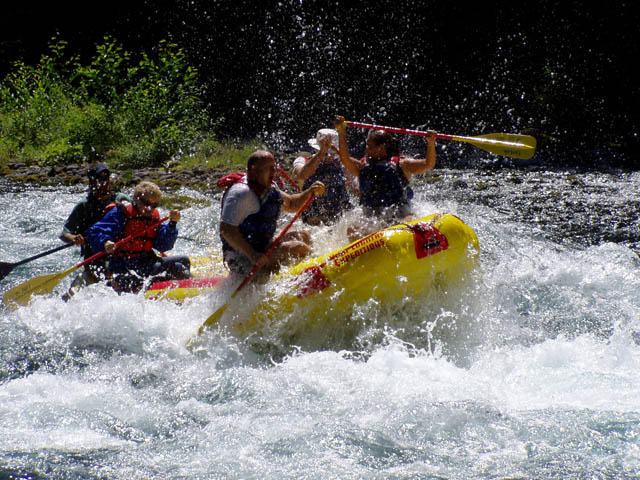 Upper McKenzie River Rafting, on Oregon's McKenzie River with High Country Expeditons. Whitewater and family rafting trips on Oregon Rivers.